After nearly killing Leo Tanaka, Neighbours’ Rafael Humphreys finally gets caught out. After her boyfriend was nearly killed on the Robinson Heights construction site, Mishti demands answers from Rafael down at the police station. 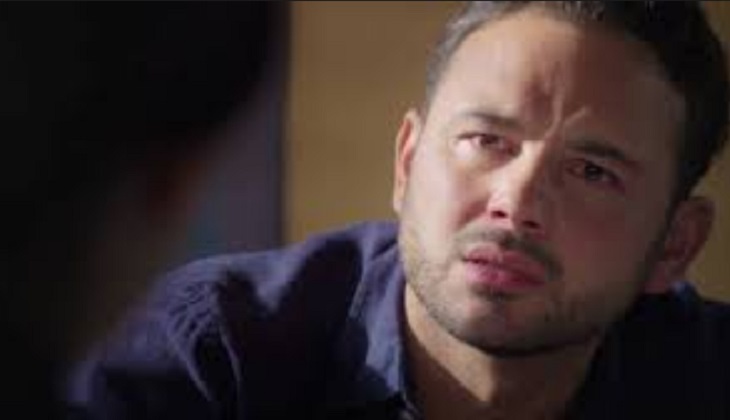 We now know that Rafael came to Erinsborough on Neighbours to assert his revenge on Paul, who he believes caused the fire that led to his mother’s death. As viewers will see this week, Rafael teams up with Sue and Jayden Parker to try and ruin Paul’s reputation once and for all. Though they don’t intend for anyone to get hurt – and Rafael tried to call it off last minute – but Leo accidentally sprung the trap and ends up wedged beneath a giant concrete slab. Neighbours viewers will see Aaron Brennan beginning to realise that Rafael may be hiding something, making him suspicious of his strange behaviour. Neighbours’ Aaron is worried that David – his ex boyfriend – is being played by Rafael, and so decides to sneak a look at Rafael’s belongings. Aaron therefore goes to The Backpackers and rummages through Rafael’s bag, only to come across Sue’s business card. As Sue is well known for hating Paul – David’s father – Aaron quizzes Rafael on why he would be in contact with her. Rather than explaining himself Rafael tries to run, further rousing suspicion. Aaron gives chase and reaches out for Rafael’s shirt, accidentally revealing the huge scars on his back. Aaron is sorry, but approaches Mishti to tell her that he thinks something is wrong. As Mishti already knows that Rafael hates Paul she puts two and two together and realises that Rafael was responsible for the accident that Leo was in. Mishti puts the pressure on Rafael, Sue and Jayden, managing to get full confessions out of them all. This signposts a difficult time for Paul and his family, as they face the reality about his supposed involvement in the fire that killed Rafael’s mother – and others. Is Paul really guilty? What will happen to Rafael? Tune in to Neighbours to find out!